Posted on June 1, 2014 by revivewa	in Features, Profiles and tagged 1, Action, feature. The chamber is full of representatives from countries located all over the globe. They mingle about the room, negotiating amendments to Resolution 2155 of the United Nations (UN) Security Council: The question of the rules of war. A young man with a suit and pony tail announces it is time to sit back down for the debate, and a representative from China stands and puts forth her case. I’m sitting in the Legislative Assembly at Parliament House of Western Australia where 15 teams from schools across WA, including three teams from Presbyterian Ladies’ College (PLC) a Uniting Church in WA school, battle it out in the finals for UN Youth’s Evatt competition – a model UN debate. Sam Herriman, a 19-year-old media and communications student from the University of Western Australia, strolls around the room making sure everything is running smoothly and occasionally collects notes from members of the Council. 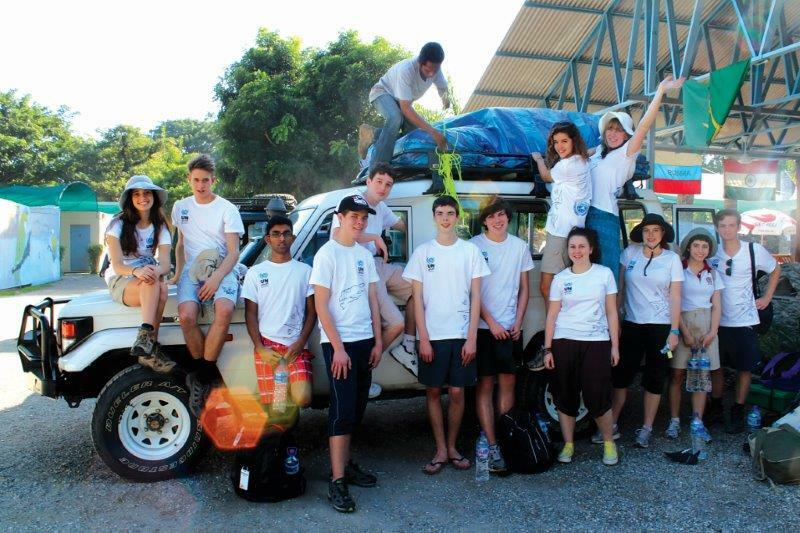 A group of high school students on their first day in Timor Leste as part of UN Youth’s Pacific Project. Sam has been giving his time to UN Youth, a completely volunteer, youth run organisation, for around three years now. And says he’s gained more from the experience than he ever could have learnt at school. While in year ten at Churchlands Senior High School Sam went along to one of UN Youth’s State Conferences. “I was put onto it by one of my sister’s friends,” he said. “I didn’t really know much about it, I was just like, ‘yeah whatever, day off school’. From there, Sam attended another State Conference, was chosen to attend a National Conference, convened a State Conference and took part in a delegation to Timor Leste in an immersion program UN Youth run in partnership with Destination Dreaming, a group who assist schools with the logistics of such trips. The trip, called Pacific Project, was a life changing experience. The next year, 2013, he wanted to give back, so returned as a facilitator. For 16 days, Sam and a team of facilitators toured Timor Leste with 10 high school students; immersing them in Timor culture and getting a taste of life for people with limited access to education and resources. The result was a once in a lifetime experience that taught the group many lessons on going with the flow – which usually gave positive results. While there, life often became out of their control; a delayed flight, their car got bogged in a river while trying to cross a road and having the whole group bar three getting sick with gastro – an experience Sam said actually brought them closer together. They did recover, and eventually found themselves being given a tour of Same, a small village, by the owner of the hotel they were staying at – who just happened to be the second in command to the leader of Timor Leste’s 1999 revolution. But possibly one of the best parts of the trip was spending time down at the river with a bunch of Timorese students they spent six days getting to know. Doubling as a bathing trip, Sam said the time was mostly spent just having fun and chilling out. Back in Australia, UN Youth run a whole heap of other programs, of which Sam is also passionate. But as a youth run organisation he knows that nothing will last forever, as members of the executive and facilitation team are always passing down their knowledge to the next batch of members coming through. And as he finishes off his degree and starts to think about his future, he also takes with him a wealth of knowledge and experience. UN Youth will be accepting applications this July for Pacific Project 2015. To find out more and to keep updated visit www.unyouth.org.au.